For a long time I’ve wanted to write a blog post about insta-love, and that other YA trope, the love triangle. WARNING: Fall For Me contains both these elements. I’ll start with the love triangle. When I first set out to write Fall For Me, I actually didn’t want it to have a love triangle. At the time I thought it was something that had outstayed its welcome in YA books. A lot of readers probably think this is still so. But… I ended up having no control over it. Any author who is a pantser (and even some plotters) will know exactly what I mean when I say that my characters just took over the story. To me, they are real people, and Fall For Me ended up being the story they wanted to tell. I didn’t fight it, I just went with it. In my opinion, the love triangle is a good way to create conflict. What teenage girl wouldn’t want two guys vying for her attention? Good conflict will then hopefully lead to a good resolution. It’s an open slather to lay emotions on the table, and I love being given the opportunity to decide for myself whose team to barrack for. I also love getting caught up in all that teenage angst. I was even involved in my own teenage love triangle which resulted in me marrying my husband seven years later. 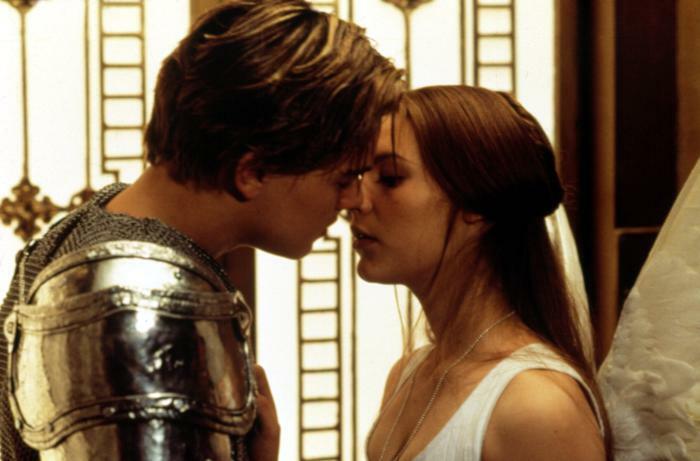 Love at first sight has been used in literature for a very long time. Romeo and Juliet springs instantly to mind. Some readers detest the notion of insta-love, arguing that it couldn’t be anything more than lust, or just a way to get two characters to like each other quickly. Well, I would have to disagree. We are all different, and that’s what makes the world an exciting and diverse place to live. What works for some, doesn’t work for others. How I think is different to the way my best friend thinks. What makes her interested in someone doesn’t necessarily work for me. Insta-love is definitely not for everyone. If it weren’t for the notion of love at first sight I would never have married my husband. The day I met him I was instantly attracted to him. I was a few months shy of my seventeenth birthday. Within a week I knew I wanted to be with him (at the expense of my boyfriend at the time). As soon as we officially started dating I knew he was the man I would marry. We dated for seven years and have been married for ten. I have a hard time not believing in love at first sight. Some would agree with me, and some would argue against insta-love. That’s fine because as I said, we are all different, and we are also entitled to our opinions. Love is a magical thing. If it comes at us like a tornado and it’s scary and blows us away, who’s to say it’s any less valid than love that grows slowly over time? We are lucky if we have love in any way, shape, or form. I particularly love this post by Amy Plum who is one of my favourite authors. What do you think? Do you enjoy reading books containing love triangles and insta-love? I like love triangles (lol) but love at first sight I think is more of a hormone-driven thing than anything else. Certainly I think you can experience a powerful attraction to someone the first time you see them, but is that love? I don't know. Would you say you loved your husband the day you met him, or was that what took weeks? By the way, your true love triangle story is completely adorable!